The great news yesterday was that Willie Brownlow recorded the first elver in the trap we installed in Glandford Mill on 15th April. Hooray! And well done to Willie (and Robin Combe), for emptying the trap every day since then. 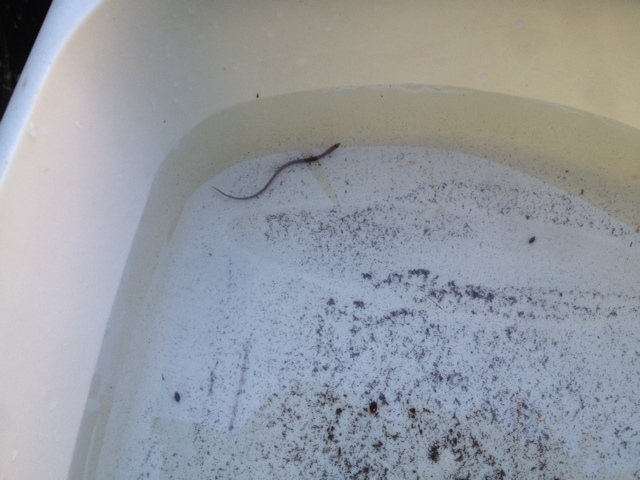 The little eel was released up-river…who knows where it will end up – the river or a distant Glaven pond? Maybe this will signal the start of the run, although today the trap was empty. We are waiting…come on you silver beauties!